Barry is having a strong first term. He has shown that he can work with others with respect to get things done for Taunton. 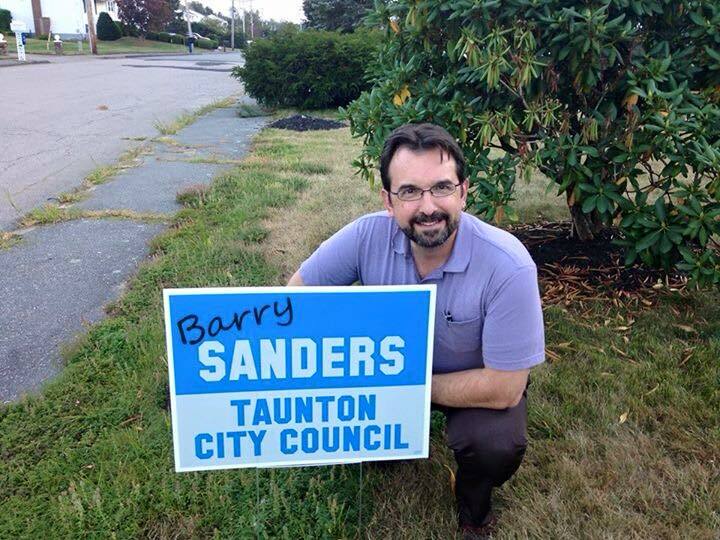 It's campaign season again and we need to have the resources available to ensure that Barry stays on the Council for another two years. Did you know that, because of Barry's job as a Clinical Social Worker, he is not allowed by state law to be involved in any political fundraising - not even for himself. That's why Barry will never ask you for a campaign contribution. Please help us take care of the fundraising for Barry so he can focus on getting things done for us. Your generous support is appreciated.